Usually neurons shrink while we sleep, allowing waste products to clear. A single night of lost sleep increases proteins in the brain linked to Alzheimer’s, new research shows. People not allowed to sleep for one night showed elevated levels of beta amyloid, the clumps of protein seen in the brains of people with Alzheimer’s. As these build up, they hamper the brain’s ability to function. “We certainly show that even oe night of sleep deprivation can increase the levels of these harmful beta amyloid compounds. The researchers recruited 20 healthy people who were allowed to sleep normally one night and were kept up the next night. Brain scans were used to assess levels of beta amyloid. 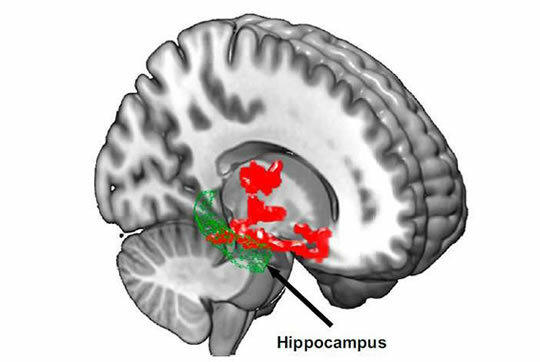 “…the beta amyloid increases were observed in regions of the brain important to memory and thought. Usually, while we sleep, neurons in the brain get smaller, which allows waste products to be cleared. The study was published in the journal Proceedings of the National Academy of Sciences (Shokri-Kojori et al., 2018).